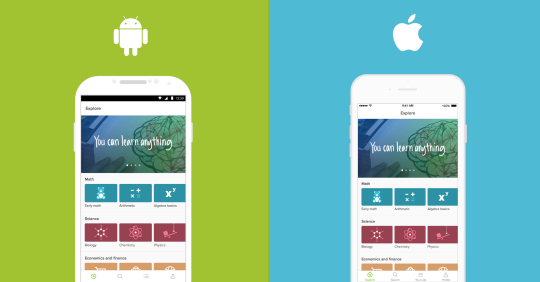 Today Khan Academy is releasing our first Android app along with a redesigned iPhone app! And… stay tuned in our Android beta community and our blog to be the first to know when exercises and other new features are on the way! Expanding to mobile platforms is just part of our mission to bring high-quality content to learners around the globe. Today we’re excited to announce that our iPad app and new iPhone app are now available in Spanish, Brazilian Portuguese, French, Norwegian, and Turkish. Catch all the details on our international blog.